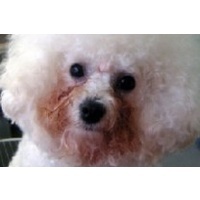 A breakthrough once-off regimen that eliminates discharge and stains from around the eyes, mouth and feet of your pet. 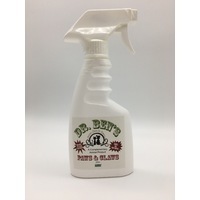 A grooming aid for all breeds of cats and dogs; developed and prepared with organic human edible quality, nutrient rich herbs, vitamins and concentrates. 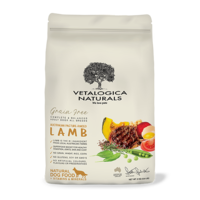 Our special all natural formula is especially suited to animals with allergies as it contains no wheat, preservatives, fillers or artificial colours of flavour. 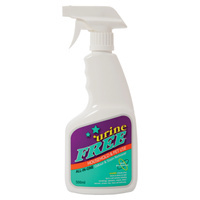 Proven to safely eliminate stains from around the eyes, mouth and feet. Glow Groom™ is a powerful anti-bacterial powder that can be added to your pets regular food or snack, that is proven to eliminate tear stains from within. Other tear stain products on the market require rubbing around the eyes or other difficult maintenance. With Glow Groom™ you will not need to use bleach, peroxide or any other topical product that may cause allergies and irritation to your pets. Works to weaken the bacteria until completely eliminated and incapable of redeveloping; without interfering with the natural production of tears. Glow Groom™ does not remove existing stains nor is it a quick or temporary fix to the problem. 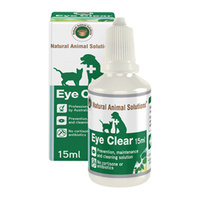 It is a proven product that works from within on the underlying cause, to gradually reduce weepy eyes and tear and coat stains at the source. A holistic approach to the overall health and wellbeing of your pet that supports healthy coat and skin and may also assist with bad breath. Glow Groom™ provides an exceptional solution for pet tear and coat stains. Discover the difference yourself, by using a tear stain remover for your pet that leads to long-lasting results and is made with completely natural ingredients – give your pets the Glow Groom™ sprinkle of perfection! 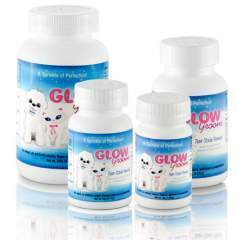 Glow Groom™ is a powerful natural anti-bacterial product that is scientifically proven to eliminate any Ptyrosporin (Pityrosporum), a bacterial infection that causes excessive tearing and staining. 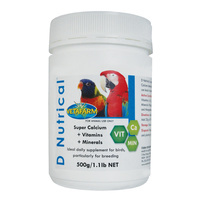 Effectively weakens the bacteria until completely eliminated and incapable of redeveloping; supporting your pet’s immune system to fight and heal itself without interfering with the natural production of tears. The active ingredient in Glow Groom™ is a nutritional and herbal anti-bacterial, effective in combating severe inflammation of the eye and combating abundant and irritating eye discharge. It also has excellent detoxifying properties. Glow Groom™ does not remove pre-existing stains nor is it a quick temporary fix to the problem. It is a proven product that works from within on the underlying cause to gradually reduce weepy eyes and tear and coat stains at the source. We encourage all pet owners to fully investigate the possible causes of their pets’ tear stains and coat stains. Here we provide some useful information to assist you in ensuring you eliminate any underlying causes of the problem and learn how to control it effectively. Allergies: Many dogs and cats can be susceptible to allergies coming from the environment. Exposure to smoke, wind, heating and air-conditioning have been known to cause allergies in some animals. 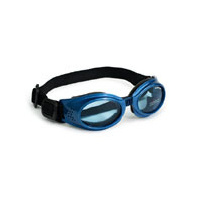 Try to keep your pet from situations where they are exposed to eye irritations. Always take care when bathing, as shampoo in the eyes can also cause irritation. Water: The drinking water in many areas has a high mineral content. If a pet splashes while drinking water from a wide dish, getting the mouth and beard wet, the minerals may cause staining and the moisture may breed bacteria, leading to stains. 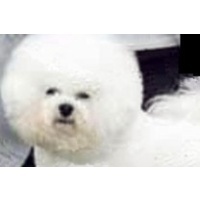 Providing your pet with purified water and using a metal bowl can assist with these problems. Another suggestion is to train your pet to drink from a dripping bottle to eliminate moisture from around the face and beard. Food: Diet is known to play a significant role in eye discharge and staining. Many pet owners find that feeding their animals dry food with no preservatives, fillers or additives will boost their resistance to inflammatory reactions, therefore an aid to stain free faces. Many commercial pet foods also contain meat pulp along with artificial colours that can stain the hair around the mouth. Fleas: Another potential source for staining is fleas. The instruction on most flea shampoos is to start shampooing from the head down. 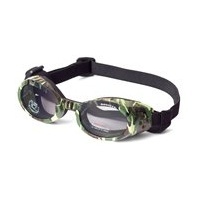 This is because fleas also need moisture to survive and stay mostly around the head, next to the wetness of the eyes. The constant and vigorous scratching is the pet’s way to relieve the itch resulting from the excrement (digested blood) the fleas leave behind, likely to cause an infection. Another problem that comes with fleas is the ear mites they carry. Ear mites can cause severe eye/ear infections resulting in tearstains (see above). Ask your vet how to keep fleas under control. Blocked Tear Ducts: Some animals may have clogged tear ducts, which need to be irrigated by a vet. Whilst blocked tear ducts usually have no bearing on causing stains or weepy eyes, they should still be monitored for the health and well being of your pet. Sudden abnormal increase in tearing: If your pet suddenly shows signs of increased tearing and acute staining or clumping of the hair around the eyes accompanied by a runny nose; we recommend a visit to your vet as soon as possible. These symptoms are signs of “epiphora”, the medical term for abnormal excessive tearing of the eye. “Epiphora” is caused by a variety of conditions that affect tear production, tear flow, or the function of the eyelids. The treatment for “epiphora” varies according to the the underlying cause and your vet will provide an accurate diagnosis. Keep your Pet Healthy: Once you have ensured your pets overall health and comfort with your veterinarian and ruled out any underlying causes as outlined above, you can feel confident in using Glow Groom™ tear stain remedy to eliminate bacteria and tear stains at the source. Active Ingredient: Eyebright (euphrasia), flaxseed, rice bran, primary dried inactive yeast, cane molasses, sunflower seed, dehydrated alfalfa, dried carrot, ground barley grass, zinc methionine complex, dried kelp, lecithin, niacin (vit. B3), pyridoxine Hydrochloride (vit. B6), Yucca schidigera Extract, garlic, riboflavin (Vit. B2), Thiamine Hydrochloride (Vit. B1), folic Acid and Vit. B12 supplement, omega 3.